Although the New Moon in earthy Capricorn is on December 29, 2016 -- just a few days before the end of the year -- it still marks the start of a fresh emotional cycle. We're concerned about achieving satisfaction at work and at home, prompting us to establish a solid foundation before we take our first steps. Unfortunately, we might mistakenly believe that our desires must be stifled, or else we'll suffer from the consequences of our actions. However, we derive great courage from the direct turn of independent Uranus. It's often said that talk is empty without intent and follow through -- that actions speak louder than words. Nevertheless, there are times when open communication is more productive than grand gestures that don't achieve the desired results. This New Moon is conjunct Mercury the Messenger, bringing an opportunity to get our thoughts out into the open. Since Mercury is retrograde, it makes sense to initiate conversations about lingering tensions that are begging for attention. 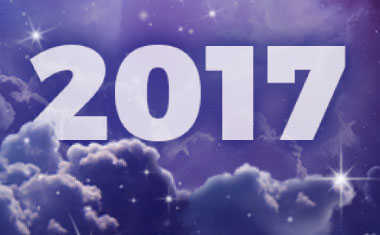 A New Moon ritual that involves creating resolutions for 2017 is a perfect use of the cosmic energy while auspicious Jupiter and karmic Saturn are also in the equation. Get advice for every facet of your life as you step into 2017! 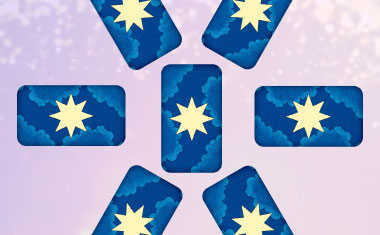 Start your Horoscope Tarot reading now. Learn more about the impact of this New Moon in YOUR life with your sign's New Moon Horoscope below. Something is different this morning, like someone sneaked an extra shot or two of caffeine into your morning coffee. The goal-oriented Capricorn New Moon falls in your 10th House of Career, motivating you to create success no matter what the cost. The downside is that you may believe you must be ruthless with yourself and sacrifice personal comforts to get ahead; the truth is, the more authentically you live in all ways, the higher you will climb. Somehow you know that the time has come to focus on the many things you want to accomplish. The conservative Capricorn New Moon brings your 9th House of Big Ideas down to earth, encouraging you to find concrete ways to move toward your distant goals. It could feel like the journey to achievement requires that you pay a steep price, but don't be deceived by your own negativity. Joan Baez said, "Action is the antidote to despair." It feels like you are turning the page to start a more serious chapter in life. The accountable Capricorn New Moon highlights your 8th House of Regeneration, signaling the beginning of a new period of growth. Although hope usually accompanies the start of something new, you may think you must relinquish your imaginative and playful self to grow up. Luckily, this isn't the case since unconventional Uranus begins its march forward once again, giving you access to a treasure trove of inspiration. Mencius wrote, "The great person never loses a childlike spirit." The heaviness of responsibility weighs on your mind as you anticipate the daunting road ahead. The Capricorn New Moon emphasizes your 7th House of Relationships, requiring you to reassess your commitments. Of course, you long for safety and security but sometimes the search for those qualities might seem more like a business transaction than a loving connection. Thankfully, you can benefit from the best of both worlds if you call on your inner rebel when you need to remember who you are and what you want. It's time to turn over a new leaf and be accountable for your decisions. The dutiful Capricorn New Moon calls attention to your 6th House of Wellbeing, urging you to implement healthier and more responsible habits. It can feel like a buzzkill thinking about all the fun you must give up to change your ways, but your new regimen doesn't have to be a prison. Reframe your idea of what it means to live a good life and you might just discover pursuing self-care brings you a deeper sense of joy. Sometimes nothing is more gratifying than putting in hard work and seeing the fruits of your labor. Not everyone understands how you can enjoy combing through the details and setting everything just right, but you truly have a gift for making chores seem like a game. The pragmatic Capricorn New Moon stabilizes your 5th House of Play, prescribing a fun new project that you can be involved with for the long haul. However, don't romanticize suffering or toiling; what seems like a good idea may prove to be a burden later, so temper your admirable ambition with a dash of common sense. An idea is being planted and it's up to you to create an environment that will encourage it to grow to its fullest potential. The stabilizing Capricorn New Moon settles in your 4th House of Foundations -- the ground in which the seed is planted. The earthy nature of this lunation may feel heavy as it roots you where you stand, but there's no need to be discouraged. Stop watering the weeds in your life and start watering the flowers. Language is more powerful than any tool, whether you're building a structure or tearing one down. The stern Capricorn New Moon stabilizes your 3rd House of Communication, drawing attention to your words and how you use them. You must decide whether you want to fearfully build walls around your mind or to openly explore new ways of learning. You may believe the only solution is strict censorship, but this is not the case. The deeper you look, the more you realize your own potential to frame your message wisely. The outlook for the future appears overcast for some reason, even if the skies are clear of clouds. The frugal Capricorn New Moon falls in your 2nd House of Self-Esteem, highlighting your resources and how they influence your belief system. You feel the push to put your budget in order and it might seem as if you must limit your spending more than you expected. Tightening your belt is always prudent, but don't panic needlessly. Remember, money can't buy happiness; true worth comes from within. A new emotional cycle is beginning and a surprising feeling of significance hangs in the air. The New Moon is in your solemn sign, renewing your sense of purpose and direction. Keep in mind that self-denial and delayed gratification are not the same things. While discipline is required to accomplish anything worthwhile, a balance must be struck between ambition and self-care. You have the power to get where you want to go, but don't run yourself into the ground to get there. It may be a normal day on the outside, but there is quite a contrasting experience going on in the deepest reaches of your mind. The Capricorn New Moon lands in your 12th House of Spiritual Insights, calling you to put greater emphasis on your inner world. The austere energy of this lunation brings forth an image of a holy person living alone in isolation, but metaphysical knowledge doesn't always require asceticism. Simply introduce consistency to your meditative practice and you will notice a subtle but powerful change. Poet Ella Wheeler Wilcox wrote, "The spark Divine dwells in thee; let it grow." You feel that the time has come to commit yourself to a cause that is near and dear to your heart. The dutiful Capricorn New Moon occurs in your 11th House of Social Networking, inspiring you to give back to your community. On one hand, you're ready to dedicate as much as possible to an organization or movement but on the other hand, you're wondering if you possess the stamina to maintain the efforts for any sustained period. Try not to dedicate yourself to a cause in the spirit of sacrifice; approach your altruistic acts with a healthy balance, so passionate service does not turn into a martyr complex.